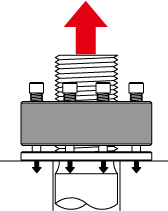 Technical Issue(3): Is Hydraulic Bolt-tensioner always a correct tool in tightening the bolt ? 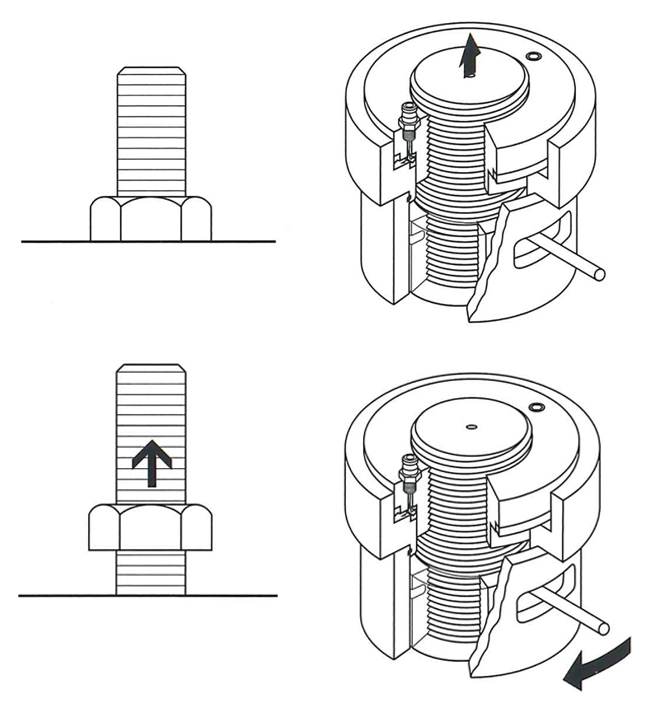 You may suffer from a problem of reduction of the residual tensioning force in the bolt. When using a Hydraulic Wrench, the most of the energy is lost by friction on the threads faces as well as the nut's seating faces, and only 10% is actually converted to the bolt axial force. If so ---.Is it absolutely safe if a hydraulic bolt tensioner? No, that does not go well ! As mentioned below, if the bolt length is [less than 3 times] the bolt diameter, you should not trust the result first. If less than 2 times, think that it will hardly be tightened. This result is still worse than tightening with a hydraulic wrench. How come this data ? (1) It is because the fine irregularities of the nut seating surface, the thread-surface and the mating surface of the flange are crushed by bolt tightening force. (2) There is a way to prevent this. Assuming reduction in axial force in advance, if you want to tighten at 100 kN for example, you should tighten it at 120 kN. Nevertheless, be very careful that the problem is to tighten with such greater force, whether the bolt can endure or not. Tension-Nut can tighten any length of bolt (=Thickness of the tightened object), how shorter they are. You will not suffer from any possibility in reduction of bolt-tension. See the following Web site (=Journal of Japan Society for Precision Engineering: Titled [Bolt Tightening by Bolt-tensioners] in Japanese ) if you want more detailed technical information. ©2017 BOLT-ENG. All Rights Reserved.